New this week are an assortment of rare, personally hand signed, and numbered editions. All books are luxuriously bound and in condition ranging from Near Fine to As New! As always, thanks for stopping by, and if you haven’t already, sign up for our Free Newsletter and take advantage of time-saving alerts periodically sent right to your inbox, on all new arrivals, plus contests, featured book signing events, book collecting articles, special offers and more. Personally hand signed by the Kinsella, directly into the book.The autograph is not a facsimile, stamp, or auto-pen. Order now. “If you build it, he will come. ” A novel about baseball, about love and the power of dreams to make people come alive. Basis for Academy Awards nominated motion picture “Field of Dreams” starring Kevin Kostner and Ray Liotta. A very special leather-bound collectible for the baseball lover! This is the signed Easton Press heirloom edition of Bill Kinsella’s brilliant novel “Shoeless Joe”, the basis for Field of Dreams, possibly the greatest baseball movie ever made. Personally autographed directly into the book by W.P. Kinsella. Includes COA, Collector Notes, and an extra unattached bookplate. FAQ: How do I know the signature is authentic? Easton Press COA (certificate of authenticity) guarantees the signature to be authentic. The COA is also signed and dated by W.P. Kinsella along with a witness. You will get the COA that was originally included with this book. Condition: Very Fine. The condition is of the highest quality. Shrink-wrap removed only once to photograph signature page. Includes original COA, collector notes, and unattached bookplate for your own personalization. Personally hand signed by Gore Vidal on a special title page. The autograph is not a facsimile, stamp, or auto-pen. View all photos. Easton Press. Norwalk, CT, 2000. Gore Vidal “Burr” Signed Limited Edition, 8VO, 430pp. No jacket as issued. Full leather covers with gilt details. All edges gilt. Includes unattached bookplate, note “about Burr and the author”, and Easton Press certificate of authenticity. Condition: Very Fine. Sealed. Free of bumped corners, etc. As New. Personally hand signed by the author directly into the book. The autograph is not a facsimile, stamp, or auto-pen. Buy it now. Signed First Edition. Personally hand signed by Stephen King directly into the book onto the title page. No bookplates. Obtained at the River Run Bookstore during the December 2nd book signing event in Portsmouth, NH. Only about 400 people were able to attend this event, which makes this a rare find indeed. Only one book signing took place for this publication. Scribner 2010. dj/HC. Fine/Fine. A great collectible for the King fan and reader. First Edition, First Printing with the full number line as required on the copyright page. 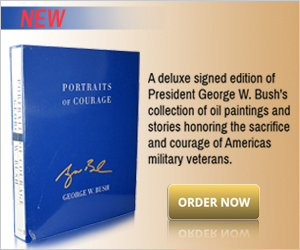 Signature Authenticity: You will receive a legitimate hand-signed edition. This book includes a lifetime guarantee of authenticity and will pass authentication by the PSADNA, AMA (Academy of Manuscript and Autograph), or any other such company that specializes in autographs. The autograph is not an auto-pen, a facsimile, or a stamp. Condition: VFine/VFine. New book. Free of markings, writings, or stamps. Unread new copy. Now protected in a brand new plastic Mylar sleeve. Personally hand signed by King directly into the book. The autograph is not a facsimile, stamp, or auto-pen. View all photos. A unique and valuable collectible highly sought after by King fans. Deluxe Signed Limited First Edition, Number 484 of only 1,000 copies. Each copy has been personally hand signed by Stephen King and Stephen Gervais on a special limitation page. Christine is the classic horror novel by Stephen King, published in 1983. It tells the story of a vintage automobile apparently possessed by supernatural forces. In 1983, the movie version of Christine directed by John Carpenter, and starring Keith Gordon, John Stockwell, Alexandra Paul, and Harry Dean Stanton was released to theaters. Stephen King “Christine”. West Kingston, Rhode Island 1983. Published by Donald M. Grant, First Edition. Illustrated by Stephen Gervais. dj/HC book. Unclipped dust jacket. Red slipcase. Photos of the actual item. Condition: Fine/Fine . Clean & straight boards. No writings, or stampings. No attached bookplates or signs of any removed. A well-cared for book, protected from any potential damage. This book stands out as having had exemplary care. Square and tight spine. Not price-clipped. Dust-jacket free of tears or creases. Excellent original example. Brand new clear Mylar covering to protect your investment. Collector’s grade hardcover book worthy of your Stephen King library. Personally hand signed by Vonnegut directly into the book. The autograph is not a facsimile, stamp, or auto-pen. Buy it now. Vonnegut’s most powerful book and also as important as any written since 1945. An elegant leather-bound collector’s edition from Easton Press. This special collector’s edition has been personally hand signed by the late Mr. Vonnegut on a special dedication page. Includes COA, collector’s notes and unattached bookplate for your own personalization. Easton Press Norwalk, CT 1998 .205 pages. 8 7/8 x 6. Signed by Author. Leather-bound, includes Certificate of Authenticity from Easton Press, notes, and unattached “Ex-Libris” bookplate. Brand new and flawless. Still sealed in the original shrink-wrap from Easton Press. Easton Press. Norwalk, CT. “Frankenstein” Mary Shelley. A limited edition Collector’s Edition. A great unique gift for yourself or for a loved one. Part of the 100 Greatest Books Ever Written collection by Easton Press. Beautifully illustrated and bound in full genuine leather. One of the most famous works and a monster classic. Order today. Condition: As New. Sealed. The condition is of the highest quality. A wonderful bright clean copy. Free of markings, writings, or stamps. No attached bookplates or indication of any removed. Unread. Not even a single scratch on the gilded page edges. Includes unattached Ex-Libris bookplate for your own personalization. Personally hand signed by Bradbury directly into the book. The autograph is not a facsimile, stamp, or auto-pen. Buy it now. A magnificent leather bound edition, SIGNED by the great Ray Bradbury. As New. Sealed in the original shrink-wrap without any flaws. The condition is of the highest quality. Easton Press, Norwalk, CT. 1998. Includes the original COA (Certificate of Authenticity) and Collector’s Notes. A beautiful and scarce signed limited edition to display in your library. An ideal gift for the Ray Bradbury fan. Only 1 in stock. An original collector’s grade hardcover book for your Tom Clancy collection. Buy it now. Condition: Near Fine. A wonderful bright clean copy with straight boards. Free or makings, writings, or stamps. No attached bookplates or indication of any removed. The binding is uniform and tight. Minor rubbing to extremities. The bright dust-jacket shows very slight edge-wear in a couple of spots without any closed tears. Small red mark in one location of page edges. No bumped corners. This book is now protected in a brand new Mylar plastic covering. All photos of the actual book. 1) Six “blurbs” on the back of the dj. – The 3rd blurb by Clive Cussler. 2) The dj is NOT priced. 3) There is NO stated printing and no “First Edition” on the copyright page. 4) There are 18 lines of print on the copyright page. 5) The ISBN appears on the back of the dj and on the back of the binding. Personally hand signed by Paul Newman directly into the book. The autograph is not a facsimile, stamp, or auto-pen. See all photos. 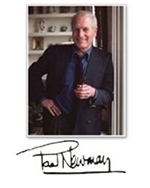 Personally hand signed by Paul Newman and A. E. Hotchner on special dedication page. Easton Press, Norwalk, CT. Signed Limited First Edition. Paul Newman and A. E. Hotchner, “Shameless Exploitation in Pursuit of the Common Good : The Madcap Business Adventure by the Truly Oddest Couple”. A rare signed first edition, one of only 1,350 produced. Condition: As New, sealed in the original shrink-wrap from the publisher. Photos of the actual book you will receive. Very fine, free of bumped corners. COA (Certificate of Authenticity) from Easton Press guarantees that the signature is genuine. Lifetime Guarantee of Signature Authenticity! Personally hand signed by King directly into the book. The autograph is not a facsimile, stamp, or auto-pen. See all photos. One of most desirable signed limited editions from the Master of Modern Horror. Stephen King’s most popular book, according to polls of his fans. A masterpiece – the apocalyptic confrontation between Good and Evil. Regarded by many as King’s greatest early novel. A beautiful and luxurious leather bound collectible, personally hand signed by Stephen King and the illustrator Bernie Wrightson. Includes the original “glassine” dust-jacket from Doubleday. Condition: Very Fine. As New in the original shipping box from Doubleday. Clean & straight boards. Free of writings or stampings. No attached bookplates or indication of any removed. A well-cared for book, protected from any potential damage. This book stands out as having had excellent care. Square and tight spine. No dents or scratches to wooden box. Unread. Collector’s grade hardcover book for your ultimate Stephen King library.